I have met quite a few people recently looking to replace their computer because it was slow. I know it sounds a bit far fetched, but true. Computers does slow down by the time. Their components wears out and pile of junk programs store up on the hard drive (the amount of data on the hard drive does not effect the speed of the laptop). In some cases you might confront with viruses as well working on the background despite the virus protection software. If you feel the same then this article is for you. In this guide I will cover refreshing your old hardware, and buying a new one. It is a common belief that computers are fast because of their CPU is the latest and the best. This is not quite right. Having a good CPU is obviously good, but there is no need for the best or latest CPU if the user is only going to do word processing on it. Determining the speed of the computer is a bit more complex than just to check the CPU out. Would you like to carry it a lot? – Mobility is very important these days. You can find the huge scale of devices on the market directly designed for carrying around all day, like Ultrabooks, Tables, 2in1 Laptops and so on. 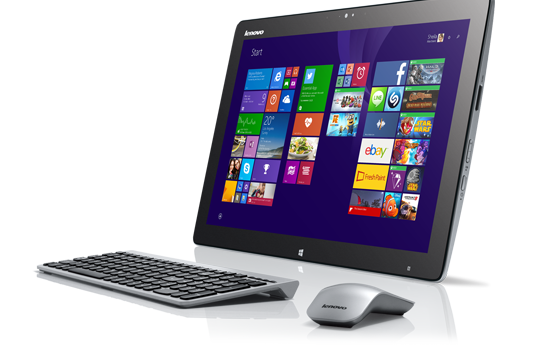 There is even a a mobile desktop category, like the Lenovo Horizon 2 where you get a full size desktop designed as a large tablet. What’s your personal preferences about the desktop/laptop? – Obviously if you are looking to buy something it needs to be something that you like. How it looks like, how it feels to touch, type, or the size of the screen you are going to look for the next couple of years (usually). This is very important but usually doesn’t taken into account enough compared to the price. Price is also important, but if you buy something that you don’t like just because it’s cheaper with £30-£50… You will never be happy with that product, you won’t enjoy using it, but again this is subjective decision. What is your budget on it? – This is a tricky question. Without giving examples you can hardly determine you necessary budget, but you need to have an idea on how much you are willing, how much you can, and how much you will pay for it. At this point comes the game of measuring the possibilities and options for the solution. To upgrade a computer, it always needs to be assessed to measure up it’s lifespan. This is why I said usually cheaper. There are cases when upgrading the computer cost more than the full price of a professionally refurbished business class or a brand new cheap low class one. In case the notebook gets a green on the assessment it also checked where and why it is slow. Old Operations system or Virus – Computers are slowing down from just the use by the time. It does take a while, but eventually the best users get this as well. The causes is simple: the usage itself. When you turn on your computer it starts updating, then you install a some programs to customize it how you like, then you go to websites that chases a lot, you find other programs that you like more and you install them as well, you click one an advert without purpose that takes you to an infected site, and so on… Every time you do something on your computer it will have a tiny footstep on the performance. Solution: Wipe and Re-Install the operation system – Usually between £30-£100 depending on the extra services, like data backup, re-installation of old software, etc.. Problem: The user can set everything back for himself with the possibility of slowing down the system again. Lack of Memory – No, I am not talking about the gigabytes that you can see when you open “My Computer” and it says 320 GB free from the 500 GB. I am talking about the actual system memory where the operation system and the programs are loaded from the hard drive upon use. It is usually around 2 or 4 GB, on newer models it can be even 8 GB. 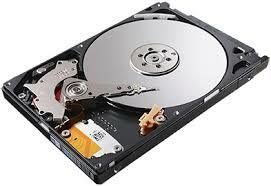 If the computer doesn’t have enough memory it start to use the hard disk for cashing and as the hard drive is pretty slow compared to the memory you will need to have patience to get your programs loaded up. Solution: Add or replace a memory module in the computer – Costs around £15-£40 depending on the age of the computer and the size of the memory. The age that counts the most in the price. Hard Drive problems – At last we got to the most important part of the computer in case of speed. 99% of the times the computer is taking its time on loading data from the HDD, and just that. 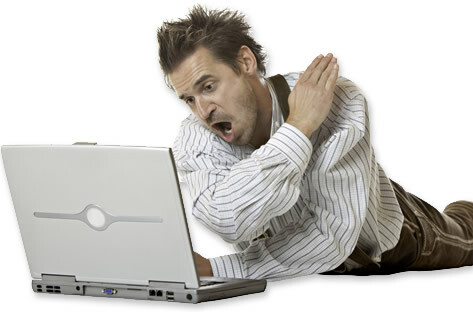 When you start up your computer, go to make your coffee and then come back, and the computer still just starting up, or when you open a program and you need to wait for minutes for something to happen it is because your hard drive can not get and transfer the data fast enough. That’s it. Doesn’t matter if you have the fastest ever processor, if you have immense amount of memory, if your hard drive is slow you computer will be slow. The most usual reason for this if you computer gets a hit while turned on, it is dropped, or just get old, but usual hard drives are slow anyway compared to the solid state drives. Let’s say if you bought a decent computer 4-5 years ago and you get a SSD installed in it (after having been checked), you can get an amazing performance in a relatively low cost. To be continued in PART 2. In the meantime, if you need any advice, please do not hesitate to contact us.